Newly signed Japanese featherweight fighter, Hatsu Hioki, is scheduled to make his UFC debut on October 29 at UFC 137, where he will stand against George Roop. A new Japanese fighter will make his UFC debut at the upcoming UFC 137. Hatsu Hioki, a newly signed Japanese featherweight, will face George Roop on his first bout under UFC at the Las Vegas event on October 29. Hatsu Hioki, with a career stats of 24-4-2, is considered to be one of the world’s top featherweight fighters. The 27-year-old fighter has spent his mixed martial arts career fighting for a Japanese promotion, but he has fought several times in Canada. He currently have a four winning streak on his hand, he also have markable wins over Mark Hominick, Marlon Sandro, Ronnie Mann and Rumina Sato. 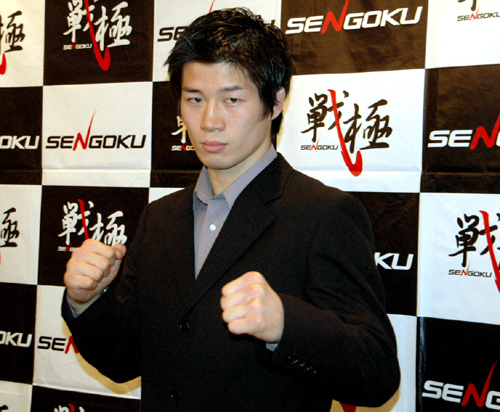 Hatsu Hioki won several prestigious MMA 145-pound championship titles, including the Shooto and Sengoku titles in Japan. However, Sengoku is currently having a financial problem, that’s why he vacated his belt and signs with the UFC. On the other hand, the man who will face Hatsu Hioki is George Roop with a career stats of 12-7-1. George Roop wins his previous match against Josh Grispi with a third round TKO at June’s Ultimate Fighter 13 Finale. UFC 137 will feature Georges St-Pierre, defending his welterweight championship for the seventh time, against former Strikeforce champion – Nick Diaz – at the MGM Grand Garden Arena on October 29.